Removal experts are needed when a homeowner no longer finds fire hearths useful – especially when an alternative proves more efficient. Our professionals are highly experienced in removing fire hearths. No matter the material or the size, we’ll make sure to take good care of the surrounding flooring. If you’re a new homeowner and the fire hearth doesn’t fit with the style you want for your home, then call us today. If you need a total flooring makeover that includes sanding, staining, hearth removal, and so on, the tasks that require under-floor access will be undertaken first, before sanding or fire hearth removal. Rest assured, our professionals will carry out a seamless and flawless job throughout. There are different types of fire hearths, categorised according to the materials used to make them. Generally, there are various classifications of fireplace hearths, such as electronic and glass fire boxes made from steel sheets. However, the common ones are those made out of tiles, bricks, stone slabs, and so on. The type of hearth will influence the process and method of removing it. However, it must not be made out of a material that is not fire-resistant; this includes wood, plastic, and so on. When removing a fireplace hearth, you’ll need a chisel, hammer or hammerdrill. These can be used for the concrete removal itself. You‘ll also need some plywood or cardboard, so that you can better protect areas around the hearth from scratches and dents from the chisel and the debris that fall off when you’re chiselling away on the hearth concrete. Of course, tape will be needed to tape the cardboard against the surrounding part of the fireplace. You will also need a vacuum cleaner, broom, pan and a brush for any debris, which you’ll have to use cautiously to avoid doing any damage to the surrounding areas of the floor and walls. For your personal safety, wear hand gloves and goggles. The latter are to protect your eyes, as some debris can be sharp. In summary, fire hearth removal is a simple process compared to other flooring processes like sanding, finishing and staining. All you need to do is keep hammering and chiselling away, after taking time to protect the surrounding areas appropriately. So, a step by step description of the removal process will begin by first preparing the hearth, before the actual removal. You’ll first need to prepare around your home or workplace by rolling back any carpets. Then, cover any furniture in the room to avoid debris scratching them and to prevent being covered in dust. Before this, the chimney should be cleaned out – for which, it is better to ask for professional assistance. Our experts are trained to efficiently clean out any chimney in preparation for hearth removal or replacement. Wear a face mask or goggles to protect yourself from dust. If the fireplace was laid after the surround, then you should begin by removing that before anything else. With a chisel, hammer or mallet, begin breaking away at the brick hearth, targeting the bond holding it to the conventional hearth beneath. Continue until you see a crack appearing beneath; you should be able to lift it off its base and carry it out of the room. However, this part is a bit tricky, so it’s better to call for a professional. We will easily be able to secure the hearth from the floor. You’ll need to lift it gently off if you intend reusing it. However, if you have no intention of replacing it, you can break off the bricks in chunks and take them out of the room piece by piece. Btown Will Bring Your Wood Floor Vision To Life! Generally, to remove the fireplace surround, you’ll have to chip away a thin strip of plastic in order to reveal the lugs, which will then allow you to remove the fireplace surround. However, you’ll need to find where all the lugs are located to be able to detatch the screws from the wall. If you encounter rusted screws, you’ll have to first soak them with oil, so that they can come off when you attempt unscrewing. Brick hearths are the hardest and messiest to remove, since you have to do so piece by piece, while they also produce the most debris. You can reduce the amount of mess made by removing a little chunk at a time and work to remove the metallic tiles that are used to hold the bricks against the wall. They will come out easier, once the metal has been disconnected from the wall. The work will be neater if at this point, you concentrate on chipping the mortar off gently into a pan. If you’re aiming to remove the marble surround, you’ll have to leave the chimney or any backing material intact. However, if you’re removing both the surround and hearth itself, you should have followed the processes described above before now. Then, all you have to do is remove the fire, after which you can gently lift off the outer brass part, which will then reveal four screws. Once the screws are off, you will be able to see behind the surround, which you will gently lift off the adhesive holding it. Even when you have no intension of reusing the surround or the hearth itself, you should be careful with the hammer or crowbar, so that you don’t destroy the gas pipe or electrical connection that operates the fireplace. Our experts will touch-up the fireplace, so that it will be difficult to know if any work has taken place. If your flooring is fairly old, we’ll use reclaimed wood to fit the fire stand, so that it matches your floor. Once we’ve successfully removed the hearth, we will go ahead to sand your floors, fill gaps and get new boards to fill where the fire place used to be. The driving force at this point will be the need ensure the entire floor has a whole new look, with no trace of the removed hearth. The length of time required to remove a fire hearth will depend on the number of people working on it. Usually, we deploy just two of our experts and the process will be over in two to three hours. What an amazing job Ben and team have made of our entrance hall and hallway. We simply could not have hoped for a better job. Extremely helpful before and during the work. No mess at all and a pleasure to have working in the house. We cannot recommend highly enough. Fantastic service from a very professional team. From quoting through to the final product Ben and his team delivered an impeccable service. Have and will continue to recommend to friends. Ben was able to recommend the best type of finish for our particular wood to bring it back to an amazing finish - so do ask him for his opinion, as he recommended us a much better colour for our hallways then we had planned. We always get positive comments from visitors on our floor and its finish. Btown Flooring did an incredible job of all the floors in my house - they look beautiful! Ben's considerable expertise reassured me from the first that this was the company I trusted to look after my original Victorian floorboards. He guided me through the options in a professional and friendly manner, going the extra mile to ensure the best possible outcome. He kept me informed at all times and delivered to schedule at the price quoted. Used this company to sand and stain the hallway in my flat making it a beautiful dark red mahogany colour. They were friendly and more importantly tidy. Did such a good job the managing agents used them for the communal areas later that year. Would use again. Great work from Ben and team, really good finish and house was left clean and tidy. Ben was very helpful in explaining the process also. Would very much recommend. Ben and his team did a great job with my kitchen wood floor. He is an honest and professional guy. He will give you helpful suggestions to make your floor look just perfect. Highly recommend. I was given the responsibility of finding the right company to refurbish our Church Hall floor and three double doors at the church and hall. Had several quotes and a lot of promises. Just had a feeling that Ben and his team would deliver exactly as discussed. They did and we are delighted. Well done BTown. Fantastic job on our wooden floors. Very friendly and professional. Came when they said they would, and finished when they said they would. No mess and virtually no dust. We went for the options of having gaps between boards filled with wood slivers, and it looks great and is definitely worth the additional cost. We are very happy with how our floors have turned out! I cannot recommend these guys highly enough. In fact I was so pleased I sent pictures to the rest of my street to recommend them! They kept me informed at every step of what they were doing. They were super family friendly, working around the kids after school, which is amazing. The workmanship is fantastic and we are still stunned every time we walk through the front door. They worked so hard and even finished ahead of schedule despite me asking for extra work to be done on the day they turned up! 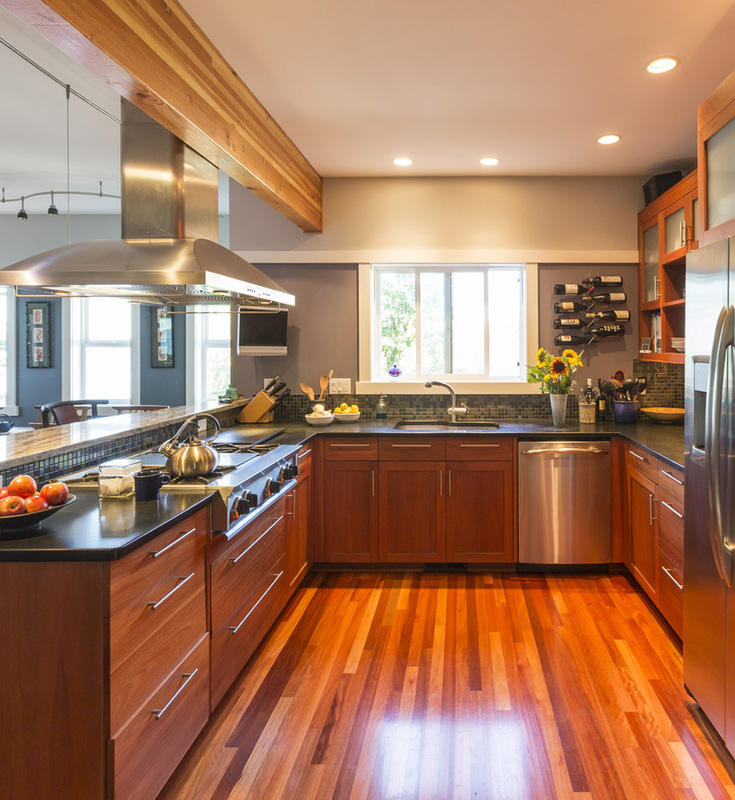 If your floors are in such a state that you think nothing can be done - look no further! Ben and Dan did an incredible job on the floor in our spare bedroom. I'm still amazed at how they can completely transform a room in a single day! Would thoroughly recommend. 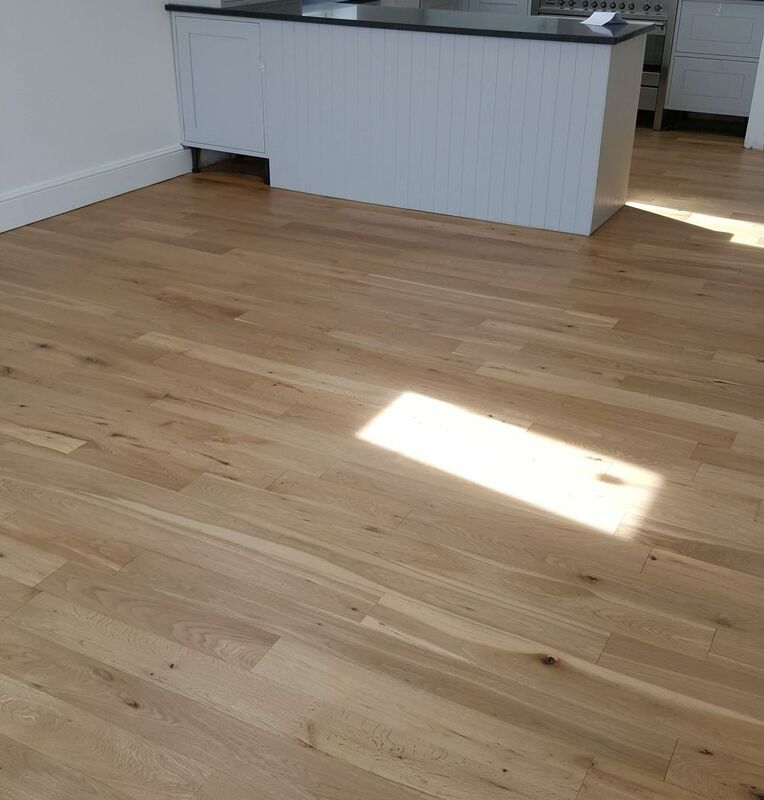 Btown Flooring is a small family run business based in Brighton & Hove, East Sussex. 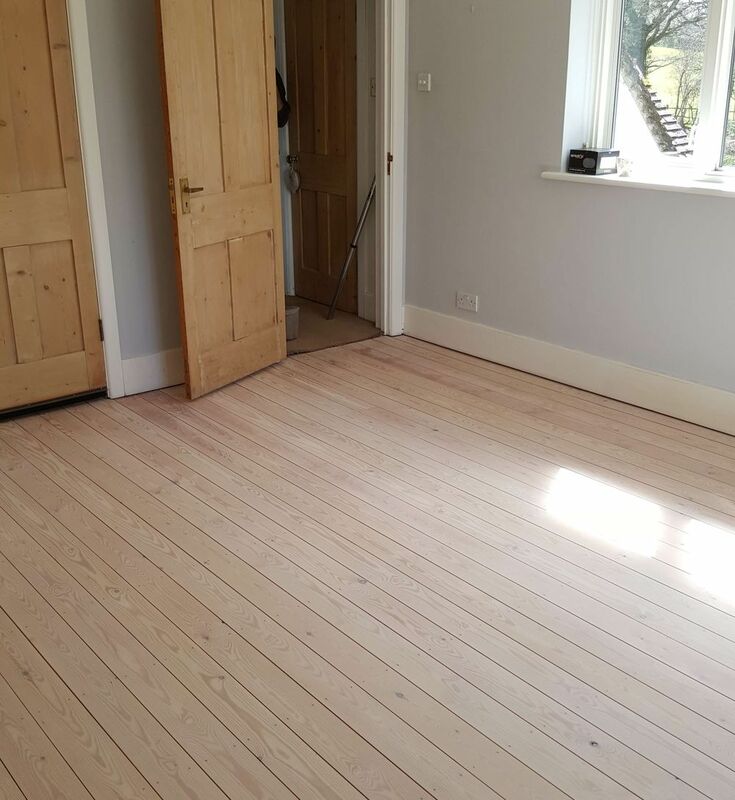 We offer high quality Brighton floor sanding services, delivered by professional staff that have over 10 years of experience excelling at the job. © 2018 BTown Flooring™. All rights reserved.